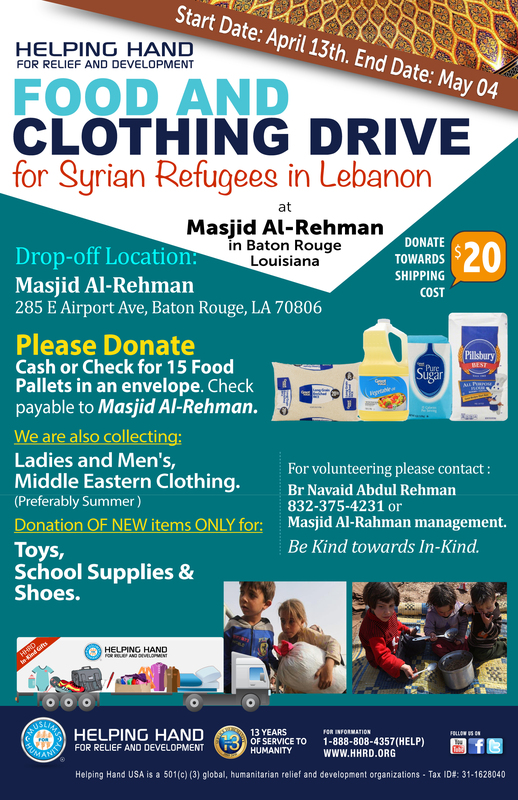 Helping Hand will be at ICBR Masjid Al-Rahman to kick off relief efforts for Syrian Refugees in Lebanon. We are asking help for donations to obtain 15 food pallets. A shipping container will be at Masjid Al-Rahman starting April 13th through May 04th to load these food pallets as well as the following. New Toys, Scholl Supplies, and Shoes. May Allah(swt) reward your efforts.